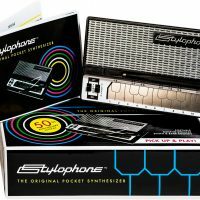 This Stylophone Pocket Synthesizer is an old school cool musical instrument that appears both futuristic and retro at once. It actually looks a lot like something out of Star Trek: The Original Series. That shouldn’t be a huge surprise, as they both date back to the same era: the first episode of Star Trek was first broadcast on NBC on September 8, 1966, and the Stylophone was invented in 1967. 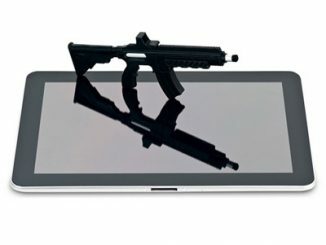 Since then, over 4 million have been sold. 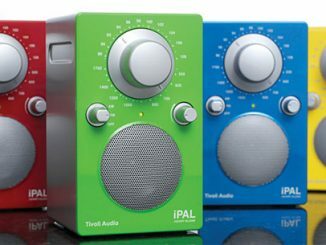 So many of these pocket synthesizer have been sold because they are so easy and fun to play. 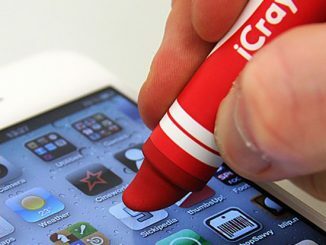 It has a stylus that is used to play the keyword and a built-in speaker, so you can play it anywhere. 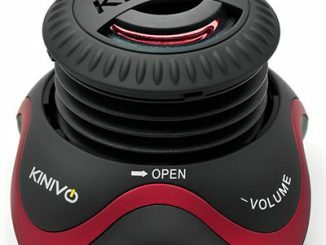 It has a tuning control, volume control, and vibrato switch. 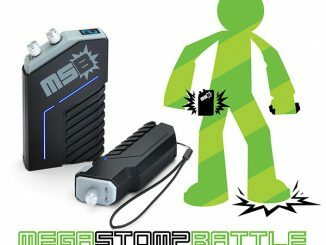 It also has a headphone/audio out jack for private jam sessions or for outputting to mixers or effects. 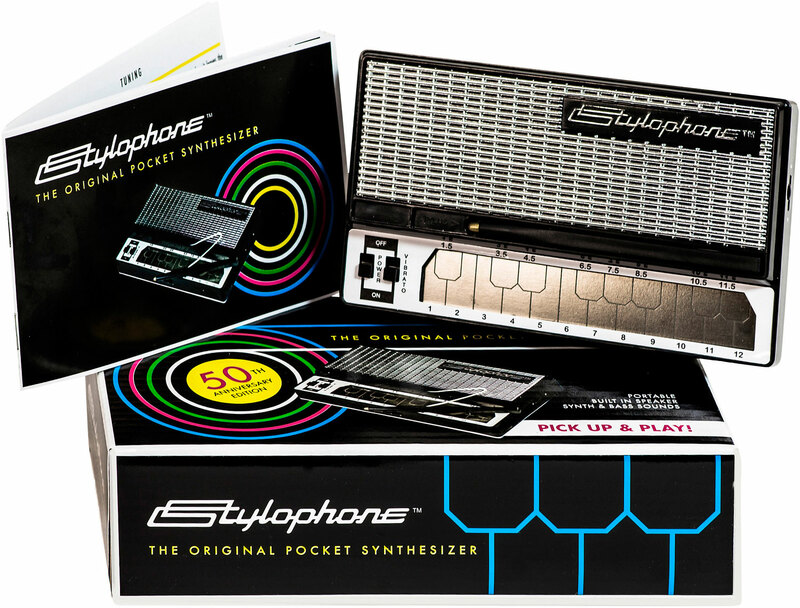 Over four million Stylophone pocket synthesizers have been sold since its invention in 1967. 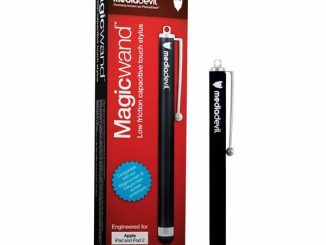 This makes it easily one of the most popular electronic musical instruments of all time. 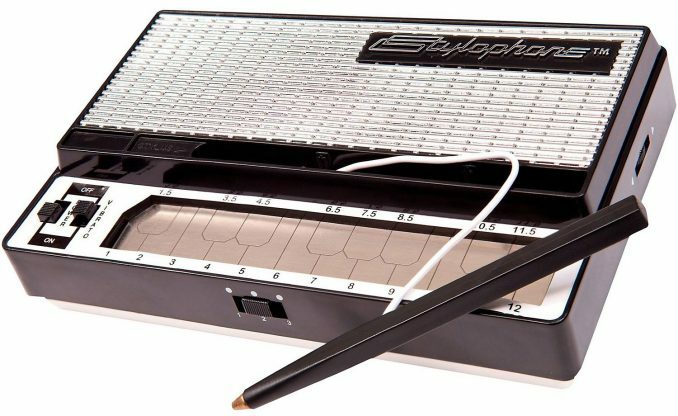 The Stylophone portable synth has been featured on numerous records, including hits such as “Space Oddity” by David Bowie, “Pocket Calculator” by Krafwerk, and “Icky Thump” by the White Stripes. 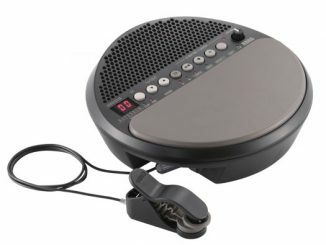 One reason for this success is that the Stylophone is easy for anyone to play. 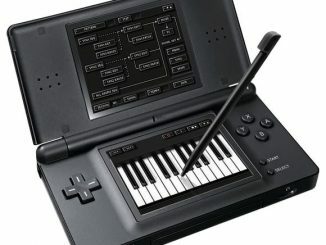 Simply touch the notes on the metal keyboard with the stylus to play melodies. 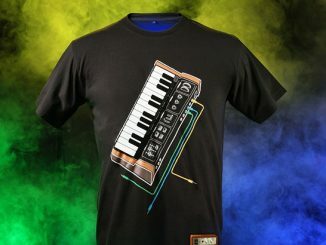 Choose between three cool, retro synth sounds and add effects like vibrato or pitch change. 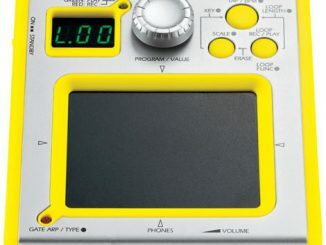 Other artists who have been associated with this celebrated pocket synth include Belle & Sebastian, The Beatles, Gorillaz, Gotya, Manic Street Preachers, Marilyn Manson, Moloko, Orbital, The Osmonds, Pulp, The Kaiser Chiefs, The Raconteurs, Queen, Vangelis, Rick Wakeman, and many more. 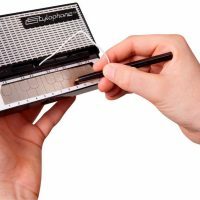 The Stylophone is a “must have” for fans of retro synthesizers and pop culture. 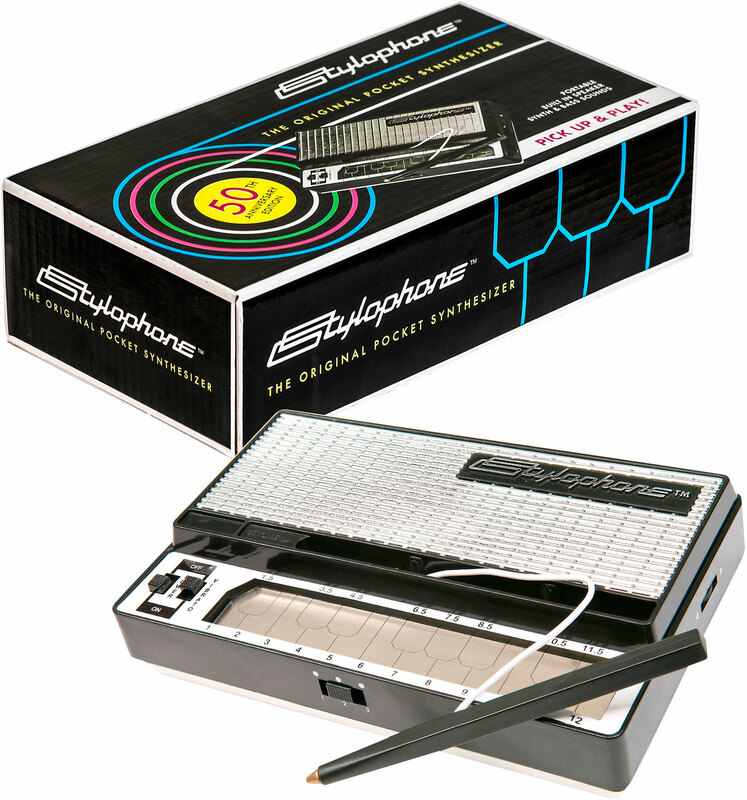 Today’s Stylophone reissue was introduced by the inventor’s son, Ben Jarvis and is manufactured by Dubreq, Ltd. 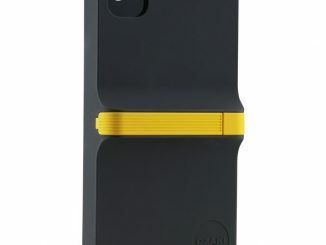 The retro pocket synth retains all of its original features including stylus operation and adds new sounds, controls, and other features such as an audio input to let you play along with your favorite songs on your mobile device. 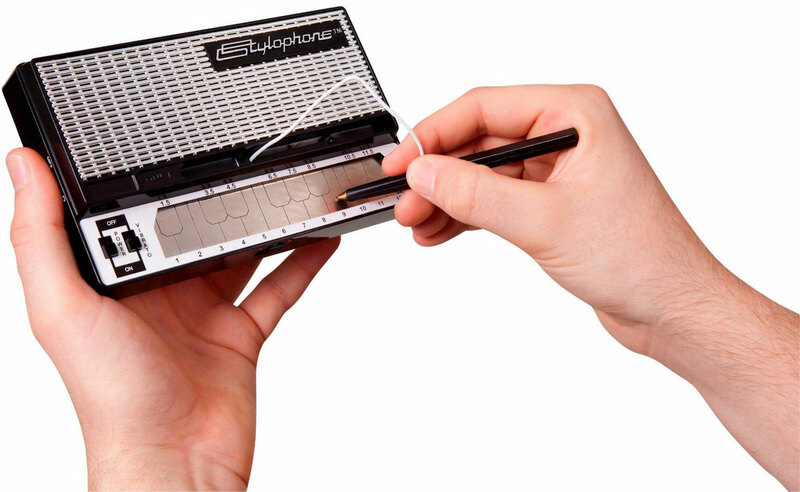 Stylophone is the portable synthesizer that’s ready to play anytime and anywhere. 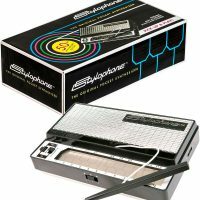 This Stylophone Pocket Synthesizer is only $24.95 from Guitar Center. 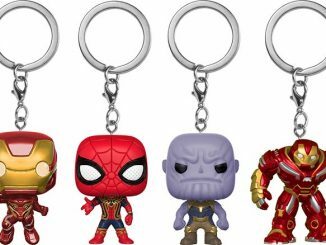 You can order now, with shipment expected on April 18, 2019.